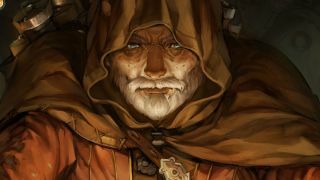 Scrolls, Mojang's collectible card/strategy game, is no more. The studio announced today that the game "can no longer sustain continuous development," and while it promised to keep the servers running until at least July of 2016, no new features or card sets will be added. The studio implied that smaller updates may still be forthcoming, however, as it is "planning to keep a close eye on game balance." It will also remain available for purchase "for the time being," with funds going to keep Scrolls online and playable for as long as possible. "We’ve had a great time working on Scrolls, and appreciate every last player who’s downloaded our game," Mojang wrote. "Extra big thanks to the most dedicated members of our community; some of you have logged in almost every day since release and dedicated a large portion of your time to dominating the leaderboards and taking care of new players." Scrolls has actually been around for quite awhile: It was originally announced in early 2011, and hit alpha a year later. The beta followed a year after that, and it went into full release at the end of 2014. It fared reasonably well in our review, although Leif noted—presciently, as it turns out—that the relative dearth of players "means frightening things for Scrolls' future."